Perfect for showing actions for songs and games! 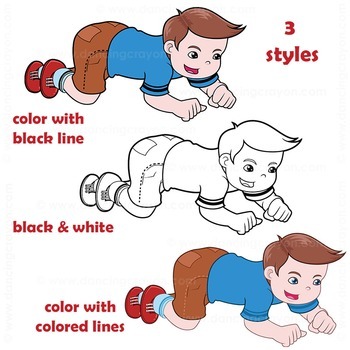 Kids locomotor movements is a fun set of images showing children doing different movements. 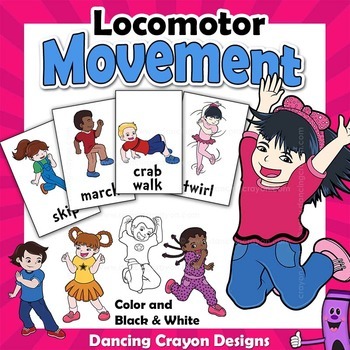 17 different images showing 14 different locomotor movements. 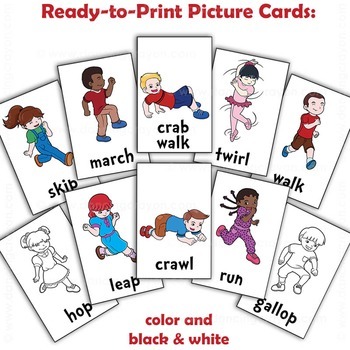 These movement kids images are provided in PNG file format, giving you the convenience of transparent backgrounds. This is in a zipped file. High quality graphics, 300 dpi. You may use these images for commercial use, including use in your TeachersPayTeachers products. MORE MUSIC themed clip art! Great for music classrooms and sports programs. 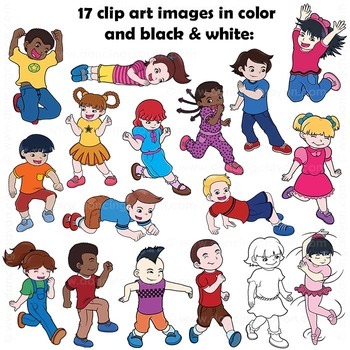 Tags: clipart of kids, children playing singing games, poses, actions, clip art for music education, loco-motor movement, commercial use graphics - music.